The break in the clouds, the moment of clarity, the motivation to try something new. 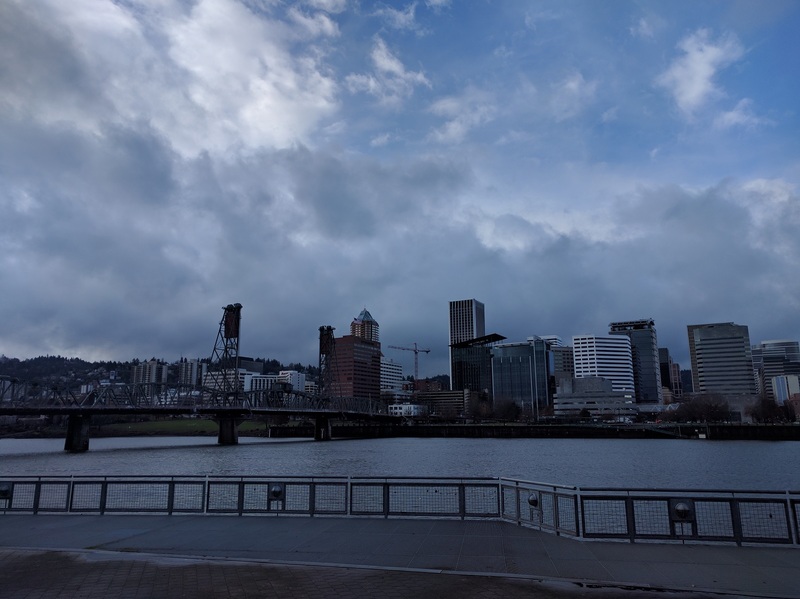 Maybe my approach has been outmoded, maybe it’s being mentally absent, but sorting through where I am now with being in Portland is very different than where I was a year ago. And yet, it’s really the same. So much of progress in life is subjective and based on arbitrary, self-imposed mileposts. Friends older and younger have settled down, started families. Some of that are a subset that are re-settling into second marriages, and I’ve consciously sidestepped that track to do…something different. That’s where the self-imposed part comes in because there has been a massive internal struggle to figure out what exactly I’m after if I’m avoiding what I really know to be a trap. What, then, am I going after? Maybe if I keep extending that analogy I’ve been using the metric system in a US standard environment, trying to make things work that are sometimes close enough to cross over but most of the time just create more headaches. For now there’s a temporary sense of clarity to enjoy this moment for what it is- the terrifying freedom of looking at what I really want out of life, and how I want to live. Better go for it now.